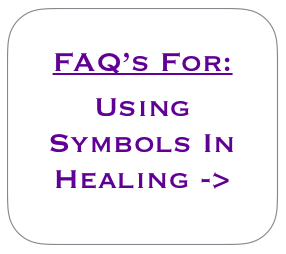 Are All Healing Symbols The Same? Are all symbols the same? Not all symbols are the same as each symbol will bring slightly different healing frequencies and therefore can help us to heal different ailments or energetic imbalances from within our energy field. Some symbols are very effective for healing on the physical level whilst others can be used on a mental or emotional level. Other symbols are used for calling on the energies of inner peace, love or perhaps purification of karmic circumstances. There are many different kinds of energies and equally there are many different kinds of symbols. Ultimately, there will be some similarities between the energies of certain symbols which we can start to feel with a regular daily practice. All symbols that we are aware of have come from a place of pure love, light, compassion, understanding and purity so they are like a beautiful and universal gift which we should treat with love, respect, humility and gratitude.